At the USC Gould School of Law, we are committed to providing an exceptional legal education to the brightest law students in the country. The Trojan Family believes that a USC education should be available to all high-achieving students who are admitted to our institution, not only to those who are able to pay the increasingly high costs of attending an elite law school. Attracting an accomplished and diverse student body requires that we provide scholarship support to those students who require it – which is to say, nearly all of them. Our students merit our investment; they come to us with an already impressive list of accolades and accomplishments, and they go on to become the next generation of leaders in legal practice, in scholarship, in government, and in our communities. Contributing to scholarships at USC Gould has an impact far beyond the financial. 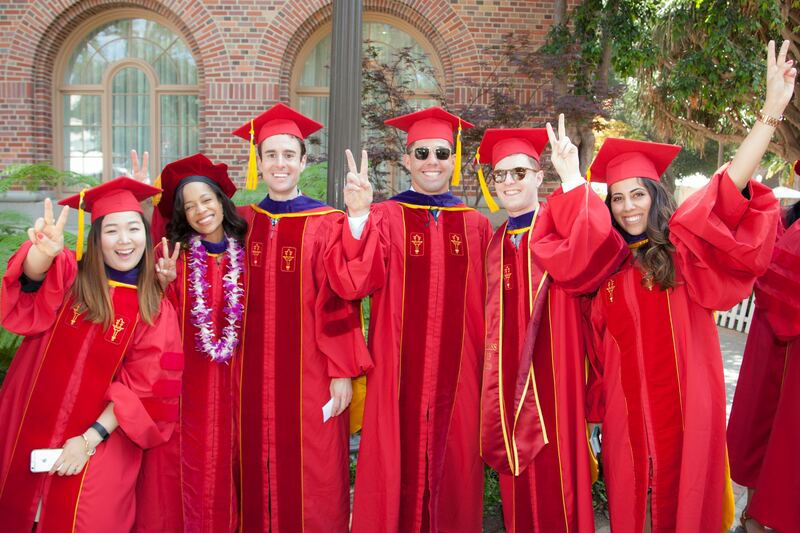 By making it possible for students to attend our law school, it opens them up to the world of possibilities available to them both within USC Gould and throughout the greater Trojan Family. Our students pave the way. They come to USC Gould from diverse backgrounds and circumstances. Approximately 80 students across all three JD classes are part of our First-Generation Professionals Program, aimed at ensuring the success of our students who are the first in their families to graduate from college and attend graduate school. Through their participation in the program, these students create a safe space for others with similar backgrounds, so that no student feels unprepared for or undeserving of their USC Gould education. Our students are interdisciplinary. 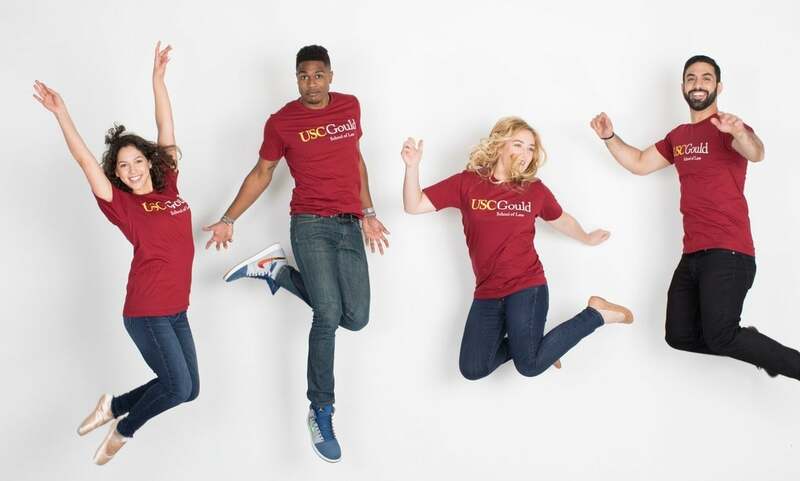 They partner in co-curricular and extracurricular endeavors with the other outstanding schools across USC’s campus, and some are concurrently pursuing MBAs, PhDs, and other graduate degree programs. Our students serve one another. They run more than 30 thirty student organizations, some of which dedicate resources to raise scholarship support for fellow and future students, as in the case of the Latino Law Students Association Endowed Scholarship and the OUTLaw Endowed Scholarship. To date, the students of OUTLaw have raised more than $200,000 to provide a scholarship for incoming students who wish to use their legal education to promote equality through the law. Our students serve globally. They take part in clinical education, seeking social justice and serving underrepresented communities through programs like the Post-Conviction Justice Project and the International Human Rights Clinic. Post-Conviction Justice Program (PCJP) clients, as well as USC Gould students and faculty share the powerful impact of the clinic's work on juveniles and victims of abuse. 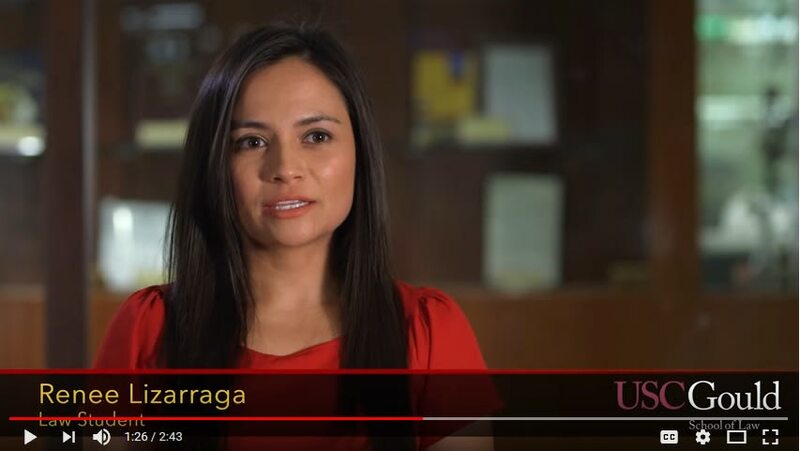 USC Gould’s Immigration Clinic, with an already heavy caseload of nearly 70 open cases at any one time, has further extended itself to assist the broader USC community in the face of changing immigration policies. The Clinic has launched the Citizenship Project, through which they provide naturalization assistance and legal guidance to USC staff, students, faculty, family, and community members. 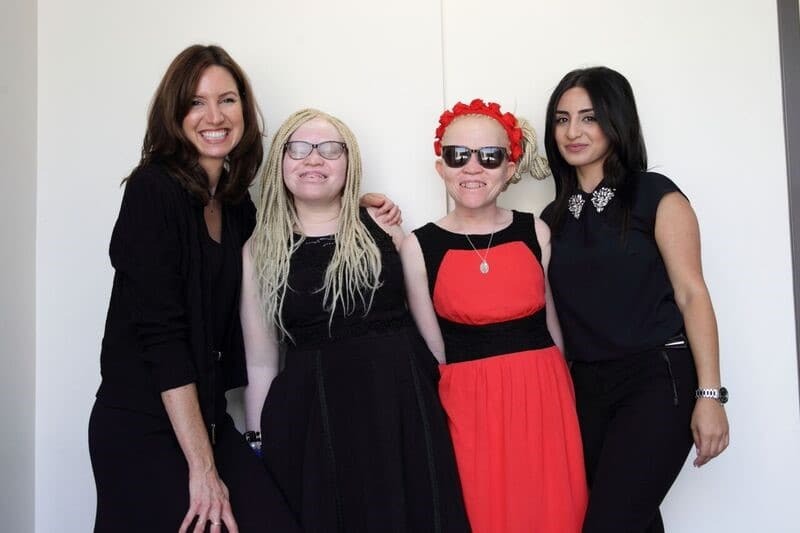 Jean Reisz ’05 (left) and Elena Babakhanyan ’18 (right) with clients for whom the Immigration Clinic won asylum in 2016. The support of alumni and friends is vital to USC Gould’s ongoing success. To remain a leader among the nation’s best law schools, we must continue to improve access and affordability for our students, create new opportunities for academic and experiential learning, and support our faculty who are on the cutting edge of legal research. We hope you will join us in these endeavors. Whether you support the scholarships that make it possible for a deserving student to attend, the organizations our current students are involved in, or the programs that serve the larger local and global communities, your gift matters. Thank you for your commitment to USC Gould, and Fight On!